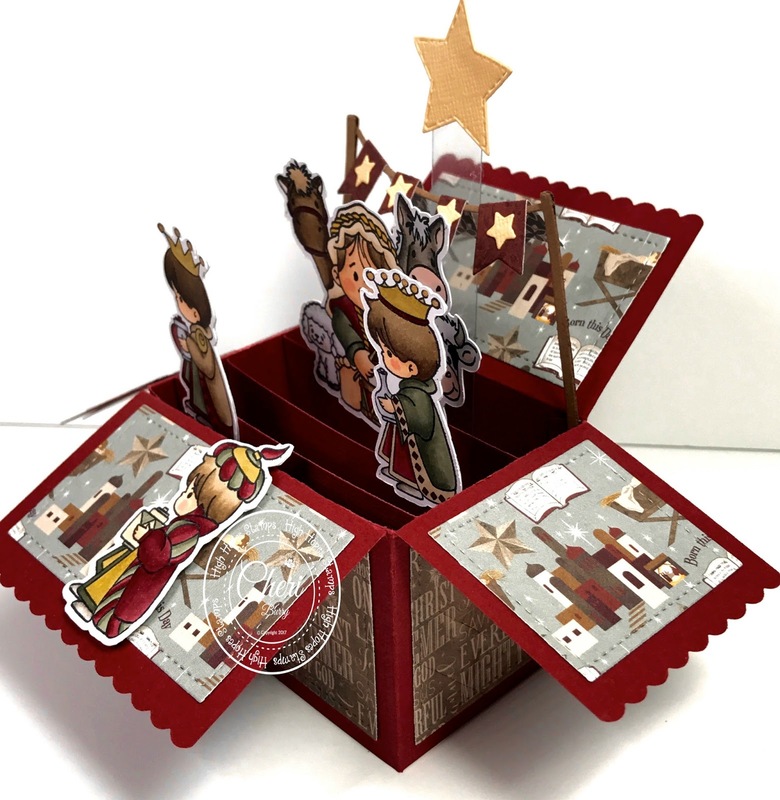 Today I am sharing with you another "Box" card using the adorable High Hopes images called "3 Wisemen" and "Little Drummer Boy & Friends". I love the little scene I created! The card is super easy to make using the Lawn Fawn Scalloped Box Pop Up die! 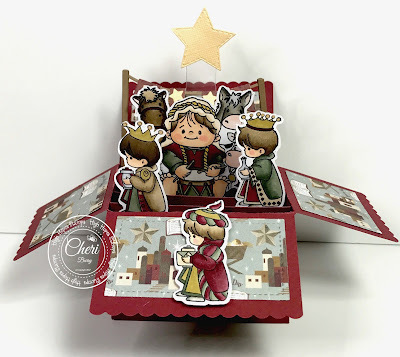 My paper today is from the Photoplay Luke2 6x6 collection. 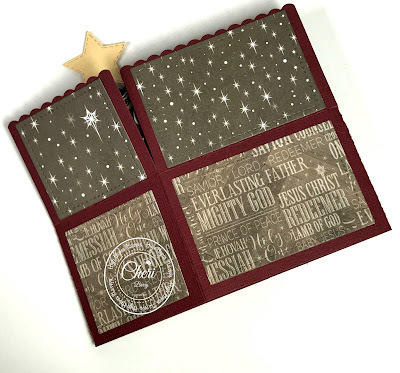 I added A stitched Star die in the background with a piece of acetate. 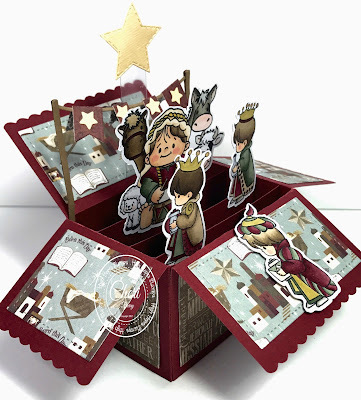 All of these images are from the new release " Season of Celebration" over at High Hopes Stamps. 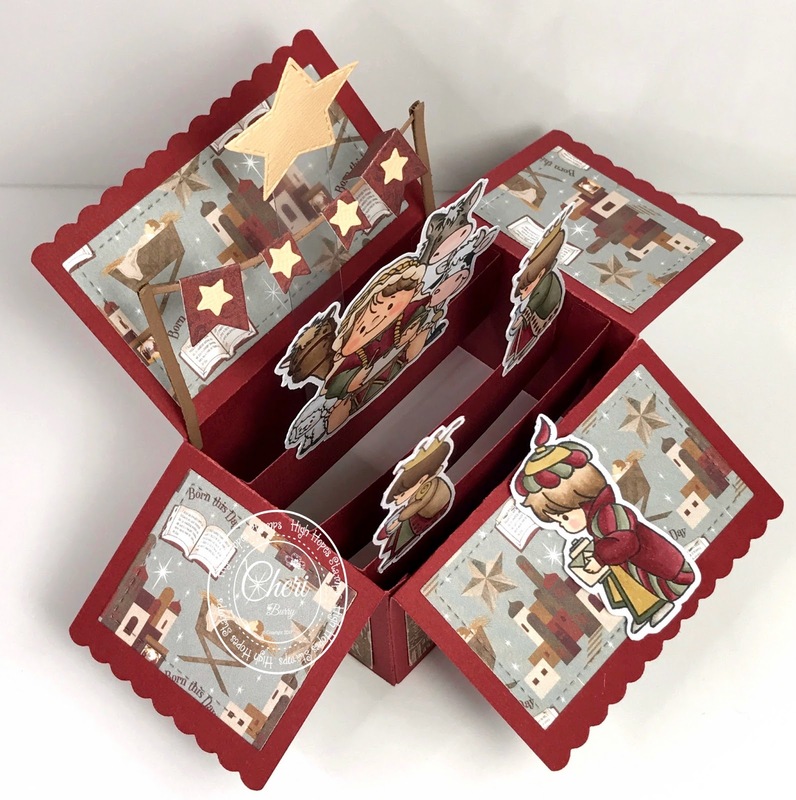 What I love about the Box card idea is that it folds flat for mailing in an A2 envelope. Then it "pops up" when you open it up for a fun interactive detail for your recipient. My mistake with this is that my star is too high for that size of envelope but it will fit in another envelope size for sure.